These serving bowls are ideal for displaying hot or cold items. The clear 5 ounce dishes have a decorative swirl exterior for an updated look. 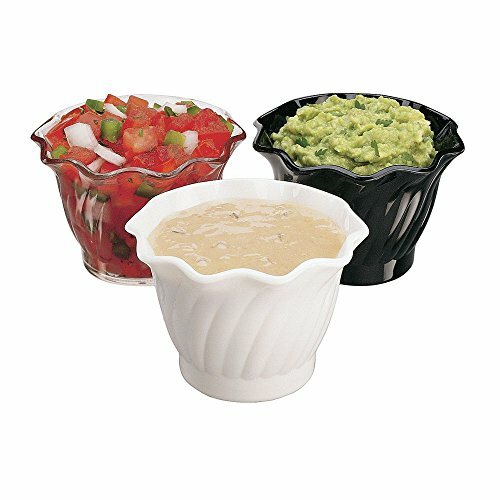 These serving bowls are conveniently sized for dips or condiments and can be placed alongside an entrée. Each piece is sturdily constructed of polycarbonate and easily cleaned in the dishwasher. The dishes can easily stack next to an ice cream station or breakfast area for individual sized portions.